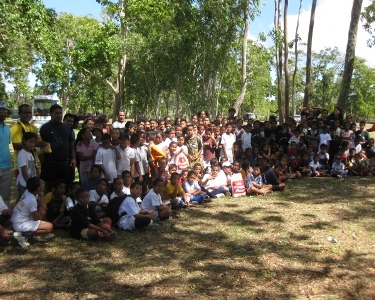 This was the largest participation to date this year since Tonga launched its second phase in July. 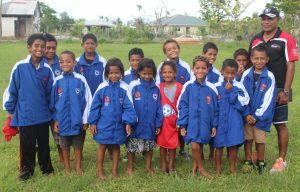 The Festival was introduced in 2009, when Tonga Football Association (TFA) piloted Oceania’s Football Confederation’s (OFC) grassroots program which is funded by the Australian Government. TFA brought in bus loads of children from their various communities for a 10 O’clock start and at the final whistle two hours later, the children just wanted to have fun. Grassroots Project Manager, Lafaele Moala and Youth Football Development Officer, Lui Muavesi were at hand with the kids. “We had to extend the time because the kids were simply enjoying the small sided games and having a time of their lives” Muavesi said. He added, “We are grateful for the support Punjas Tonga continue to provide as we strive to develop young talents in the country”. The next Just Play festival for the month of September will be at ‘Apifo’ou College grounds on Saturday 25 September 2010 kicking off at 10 O’clock.